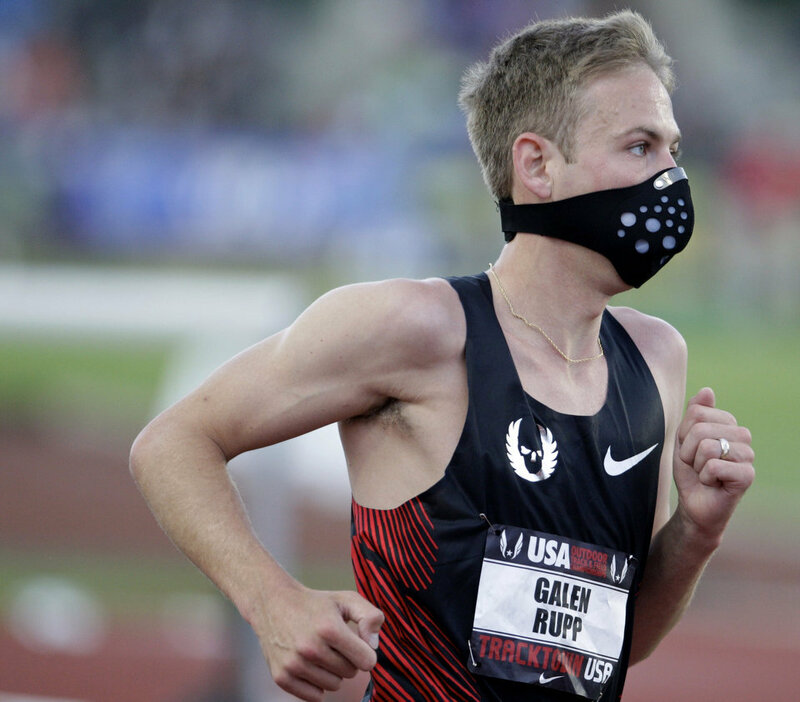 Be Your Favorite Runner for Halloween! Did you just realize it’s Halloween and you don’t have a costume? We’ve got some easy ideas on how you can dress like your favorite runners! Alternately, just do this for your Tuesday workout. Chicory as Kara Goucher. Brrr cold belly! Perfectly mussed hair. Sports bra, vest, tights. Why no shirt? We still haven’t figured that out, sorry. Perfect for our expecting readers. Baby belly, sports bra, tiny shorts, flower behind your ear, national championships bib number. Costume works with or without a toddler in addition to new baby. Green and/or yellow spandex, large gold jewelry, huge pile of Olympic medals. This works better if you’re tall and lanky. 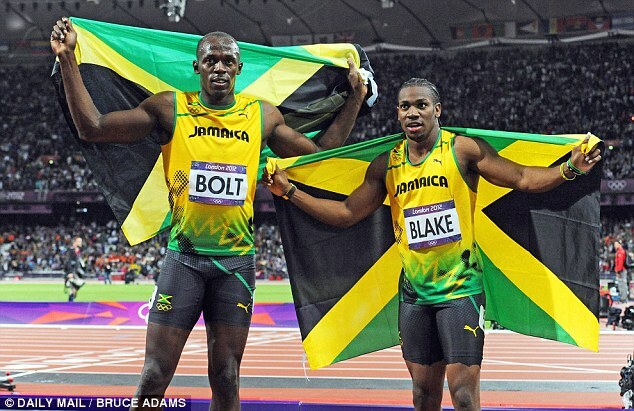 If you’re short and stocky, you’re Yohan Blake. Adobo does her best Meb during NYC Marathon week! Look like your kit was literally made from the American flag. Be humble and insanely nice. Because nobody knows who they are anyway: Minimalist shoes, hydration vest, Buff. Beard optional. Slightly-too-big singlet and split shorts (NO SPANDEX. NO BUNS. NO CROP TOPS.). Your choice of accessories because Des is basically the most normal pro ever and wears normal things like gloves, sunglasses and headbands. 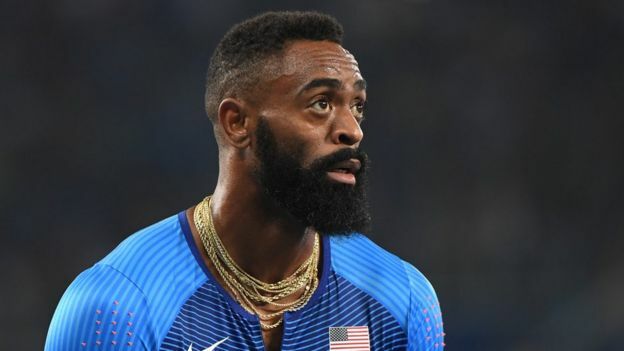 Um, just Google Mr. T. Plus, for people who don’t know who Tyson Gay is, you can just say you’re Mr. T.
Comfortable AND historical: Angelica goes as K.V. Switzer. 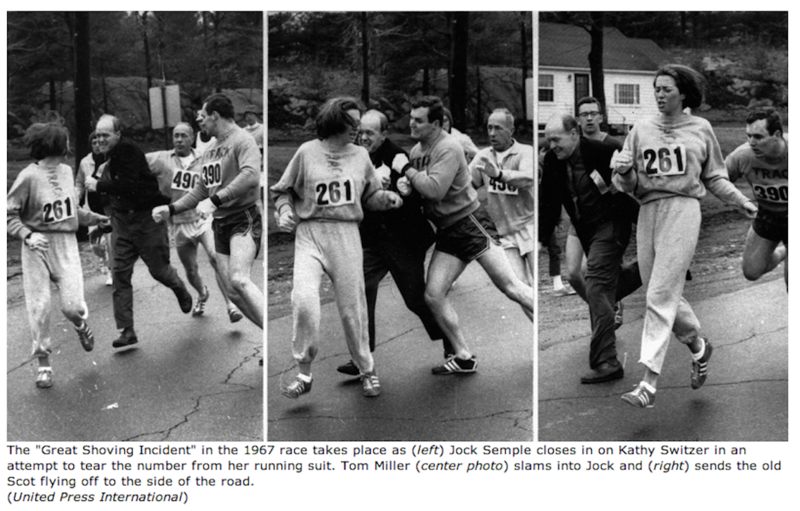 Channel an epic photo and recreate Kathrine’s Boston Marathon run. You’ll need a gray sweatsuit, a super-plain bib and a burly boyfriend. Bonus points if you can get someone to play Jock Semple for the night. Crop top with holes cut in it (what’s up with this? ), curly hair wig, carrying a water bottle and a higher 93 sign. Boyshorts, crop top, headband, calf sleeves. 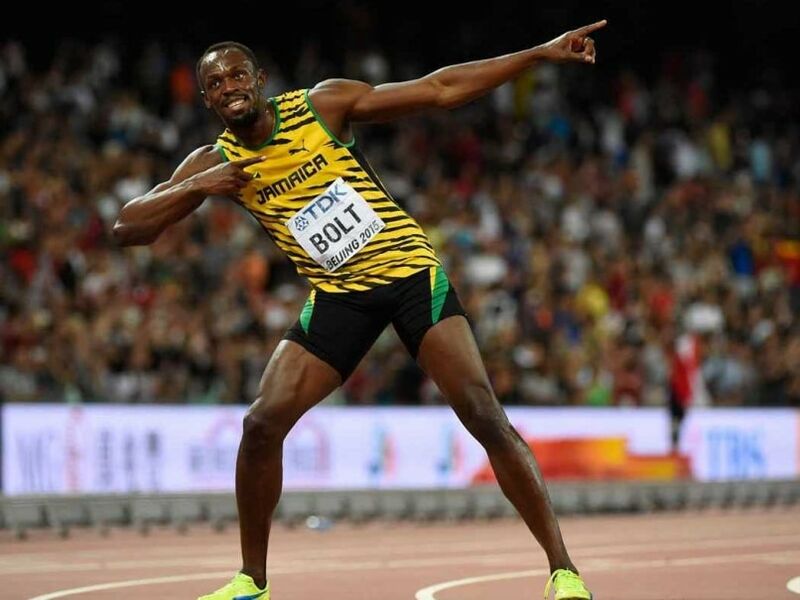 You’ll need 6 Olympic Gold medals and 3 Olympic Silver medals — you could try the 16 outdoor World Championship medals, too, but your neck would get tired. Bergamot and Catnip are ready as the Dynamic Ducks Duo, Jordan Hasay and Alexi Pappas! The Oregon duo trains together no longer but the bun & pony legend lives on. Works best with Ducks uniforms. One of you needs the longest blonde pony ever, the other a dark brown topknot. Have you dressed as a runner for Halloween? Who were you, and what did your costume look like? Sometimes being a sub-elite isn’t as clear as I wish it were. 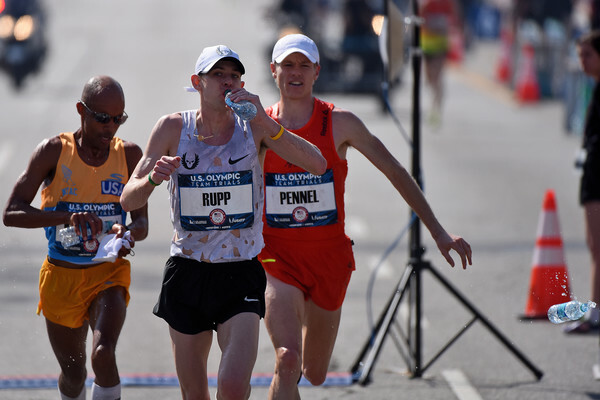 I’ve been mulling over the words “sub-elite” and “elite.” While most of us have some idea of what an elite runner is, the concept of “sub-elite” is slightly less tangible. Posing with my sister while wearing the F1 bib at the Brookhaven 5k in Oklahoma City. I finished 2nd.